Zamil Steel Buildings Vietnam Co., Ltd is a joint venture between Zamil Industrial Investment Company and Mitsui & Co., Ltd.
Zamil Steel group of companies, a subsidiary of Zamil Industrial Investment Company, was established in 1977. 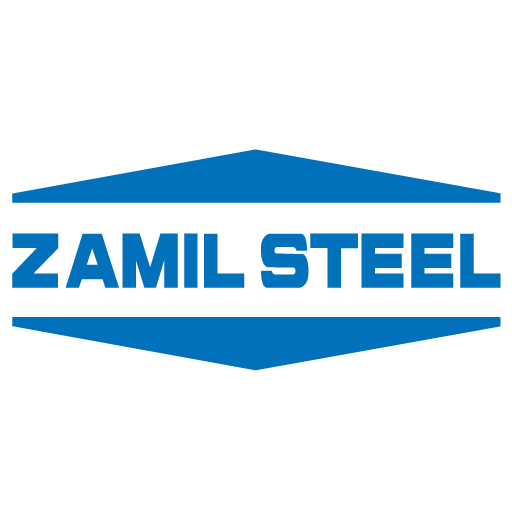 Zamil Steel is a global leader in the manufacture of pre-engineered steel buildings and the Middle East’s premier supplier of structural steel products and process equipment, transmission and telecommunications towers, open web steel joists, and roof& floor steel decks. In 1993, the company set up a representative office in Ho Chi Minh City, Vietnam and began exporting steel buildings to the South East Asia region. Four years later, in 1997, witnessing the robust growth potential of South East Asia, Zamil Steel took early initiatives to build our first plant in the Noi Bai Industrial Zone, Hanoi. The co-investment between Zamil Steel and Mitsui & Co., Ltd has resulted in a 100% foreign owned joint-venture – Zamil Steel Buildings Vietnam Co., Ltd. Address: No. 24/D, Pyi Thu Street, 7 Mile, Mayangone Township; Yangon, Myanmar. After clicking PLAY, please click on the icon Settings in the right bottom corner for selecting subtitles. Our 21 years of development and Achievements. 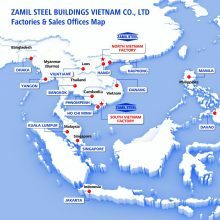 Zamil Steel set up a representative office in Ho Chi Minh City, Vietnam and began export pre-engineered steel buildings to the Southeast Asia region through this office. 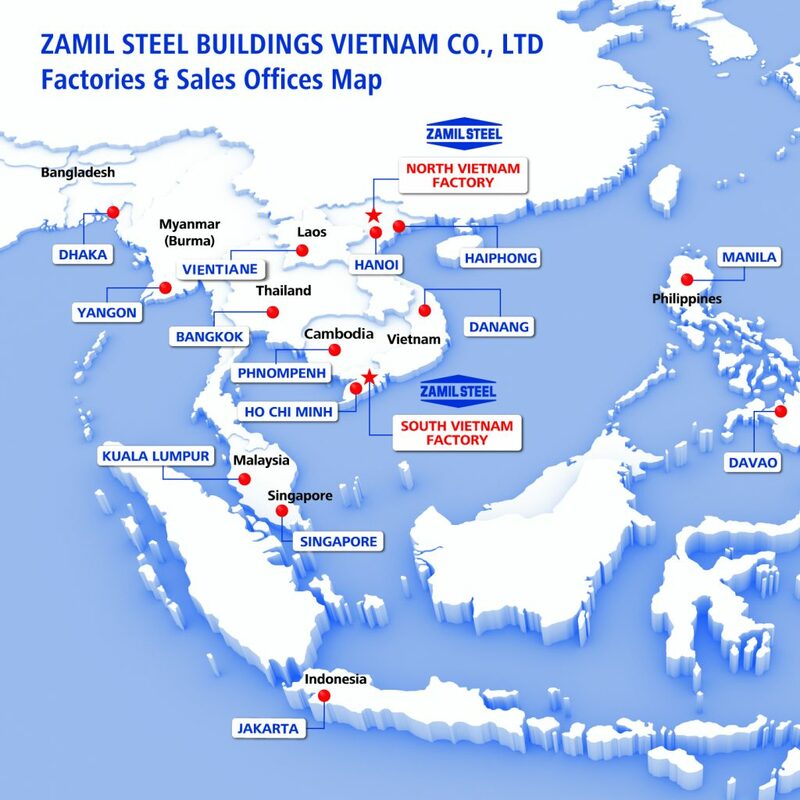 Zamil Steel Buildings Vietnam Co., Ltd. (ZSV) was established as a 100% foreign owned enterprise. This establishment brings together a joint venture between Zamil Industrial Investment Company and Mitsui & Co., Ltd. The factory project started on a land area of over 41,000 sqm in the Noi Bai Industrial Zone, Hanoi. ZSV – Hanoi Factory started operation with an initial output of 600 MT steel buildings per month. ZSV was certified with ISO.9001 Quality Management System. The plant was expanded and an in-house painting line was added, thus increasing production efficiency and quality control. The plant continued its growth plans and was further expanded to cover an area of 24,000 sq.m; equipped with a shot-blasting line and auto-weld machines of higher capacity. Monthly production reached 5,000 MT of pre-engineered steel buildings, serving both domestic and export markets. Engineering capacity was enhanced by setting up an Engineering office in Ho Chi Minh City, Vietnam with the recruitment of professional engineers with high expertise. ZSV launched Mobile Shed, an application of pre-engineered steel buildings, which is movable along a rail system, providing end users with the best ground space efficiency. Construction work for Dong Nai plant started (located on a land area of 45,000 sq.m in Amata Industrial Park, Dong Nai, close to Ho Chi Minh City, Vietnam) to meet the increasing demand in the market. Noi Bai Factory received Certificate of Accreditation from the Singapore Structural Steel Society (SSSS), ranked in S1 Category. Dong Nai plant was inaugurated in April 2008 with the production capacity of 4,500 MT of steel buildings per month. ZSV launched Structural Steel products, making it a Total Steel Buildings Solutions provider. ZSV obtained certifications of ISO 14001 Environmental Management System and OHSAS 18001 Occupational Health and Safety Management System, affirming ZSV’s commitment to quality for clients and corporate social responsibility (CSR) for employees and local communities. With total production capacity of 120,000 MT of steel buildings per annum, to date, Zamil Steel Buildings Vietnam has successfully supplied more than 6,000 steel buildings in Vietnam and the Asia-Pacific region. Bangladesh joined ZSV’s regional sales network. Dong Nai Factory has been certified by the American Institute of Steel Construction (AISC) for meeting the Standards of steel building structures and sophisticated paint endorsement-enclosed, thus becoming the first steel structure provider to receive AISC certification for these standards in Vietnam.